Valentine’s Day began as a festival called Lupercalia, which was a Roman fertility celebration held from February 13th to the 15th, where women were matched with men. The name comes from the Romans as well — inadvertently mind you — when Emperor Claudius II executed two men — both named Valentine — on February 14 of different years in the 3rd century A.D. They were granted sainthood by the Catholic Church and the day was celebrated as St. Valentine’s Day. Over the centuries, Valentine’s Day has grown to the commercial windfall it has become with sales in the billions of dollars worldwide. 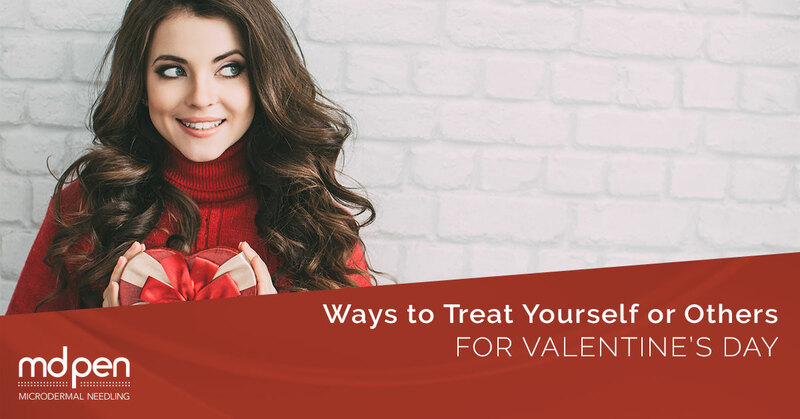 Whether you’re single and will be dining alone or you’re in a relationship and struggling to find the perfect gift, there are many ways to treat yourself or your loved one on Valentine’s Day. Flowers. As ubiquitous as flowers are on Valentine’s Day, this may be the only time some women are gifted flowers by their loved ones. They brighten and freshen a room and are living symbols of beauty and perfection that you see in yourself or your loved one sees in you. Candy. Most of us love candy, albeit in small doses. Valentine’s Day has some of the best chocolates with nut-fillings and melt-in-your-mouth goodness. Candy sends the message you are sweet. In fact, The National Confectioners Association says as many as 40 million heart-shaped boxes of chocolate are sold each year. Dinner date. Going out to dinner is always fun, but going out on Valentine’s Day is extra special, whether you are just treating yourself or your loved one is treating you. Order the mile-high chocolate cake and the spiked coffee to put the finishing touches on your meal. And don’t feel guilty — it’s only once a year. Jewelry. If you’re thinking about popping the question, Valentine’s Day is definitely a day to do it. In fact, it’s the fourth most popular day to get engaged after Christmas Eve, Christmas Day, and New Year’s Eve. Skin care treatments. Valentine’s Day is about being pampered, and nothing makes you feel as pampered as good as a spa day where you indulge in a massage, a facial, or another procedure. Besides spending time with your special someone on Valentine’s Day, your second wish is to look your best on that day. Indulging in a microneedling treatment that will last much longer than 24 hours is a great idea to help eliminate signs of aging or treat your acne scars, stretch marks, or skin discolorations. Microneedling is a skin care treatment that uses tiny needles in a microneedle pen to create micro-injuries in your skin that stimulates your body’s natural healing process to produce new skin. This new skin bolsters the old skin, firming it and tightening it. This results in a healthy look and glow as well as reduced wrinkles and sagging skin. Microneedling is a minimally invasive cosmetic procedure with minimal downtime and aftercare. Some results are immediate but usually takes up to six weeks for the full effect to be in place. MDPen is a leader in microneedling pens and a leader in aesthetician equipment. We support microneedling practitioners with all the supplies they need for a successful practice. We provide a practitioner network online where you can purchase microneedling pens, get financing on those pens, purchase brochures, and purchase our proprietary skin care serums and creams specifically for microneedling procedures. We invest in our practitioners through offering microneedling workshops around the country where you can receive hands-on practice and hear from experts in the field on the advancements in microneedling. MDPen also trains new practitioners to use our pens and products, so they can begin offering microneedling in their clinics as well. We have training videos available both on our website and on Facebook. Microneedling before and after photos of patients show the amazing results of microneedling. Valentine’s Day, while still largely a romantic holiday, is moving towards a “love” holiday, where you can celebrate all the love in your life, including love from man’s best friend and man’s best friend’s arch-enemy — the cat. Give your loved one or a good friend a gift on Valentine’s Day that will last longer and boost his or her self-esteem by gifting a professional microneedling treatment. To find a nearby practitioner, visit our website today and read all about microneedling on our news page!